Where to go? Where not to go? When to get in? Should you get out? Speaking of geopolitical risk and "economic statecraft" Bremmer offered a number of thoughts in his Barron's interview. But the fundamental point that pervades his musings is that companies can't blithely "exist" in markets. A company's decisions regarding markets on which it will focus its international business development resources need to be sensibly made and routinely evaluated. Companies should absolutely not...under no circumstances....as in never...simply chase a market because of seductive headlines and pop wisdom. In fact, the BRICs (and other hyped emerging markets) are often a disastrous choice for companies embarking on international diversification programs. What's the driving reason that keeps you in a market? When products are caught up in a customs hassle; when reps freak you out with FCPA silliness; when jet lag wears you down and you wake up in a hotel room not knowing where you are....what's driving the commitment? If you can't answer that intuitively, you probably don't belong in a market. But sunk costs are a powerful and distorting factor in decisions. Too often decisions are skewed based on investments that have already been made rather than the realistic future opportunity. That's the other relevant part of Bremmer's message. Consistently reassess. Make decisions regarding allocation of resources to market development proactively rather than reflexively or by default. On occasion, that will mean retreating from a market into which you have dumped a ton of resources. That's OK, unpleasant perhaps, and humbling, but the right business decision. The key is obviously to minimize the frequency of that sort of about face. That takes a broad international business development perspective that is absent in many C suites. It also demands exhaustive research and ongoing processing of volumes of information. Doing it right the first time and keeping your ear to the rail are trite expressions, but apropos. In the end, many frustrated international business development efforts wither because the broad skill sets and perspectives required to properly conceive them were missing. 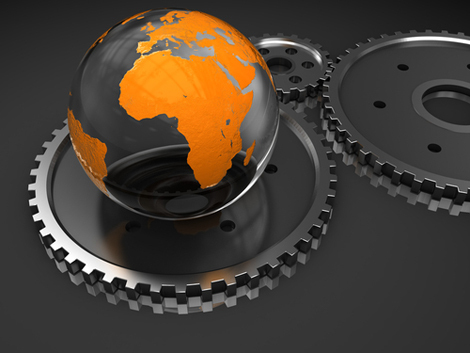 Do you really understand how to develop international markets for your company? 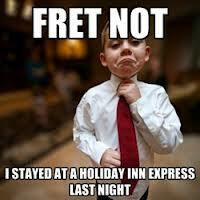 Or did you merely "stay at a Holiday Inn Express last night"? Contact Consilium to get our perspective on how to do it right.